When homes were not selling fast, Rita SOLD our home in just 3 weeks. Thanks to Rita’s knowledge and experience we received the price we were asking and more. Rita is professional in every way. If you are thinking of selling call RITA! She will get your home SOLD! As a single senior citizen, I realized that I could no longer handle my responsibilities as a homeowner. A friend recommended Rita as a reputable Real Estate Broker and I contacted her. After signing the listing agreement I had over 25 showings in 2 weeks time & 4 reasonable offers, one of which I accepted. From start to finish the sale was closed in less than 100 Days. I highly recommend Rita & her Staff as reliable, courteous & hard working. They handled the entire transaction from beginning to end, keeping me & my family informed along the way, which reduced the stress level associated with selling my home. RITA and her team are true professionals! Buying your first home is one of the biggest, most exciting, most nerve wracking decisions that you’ll ever make in your life. RITA and Team Rita fully understand this about their customers. They were able to ease our real estate fears, answer any questions that we had about the negotiation process and guide us every step of the way. We highly recommend RITA and Team Rita to anyone who is in the process of buying a house. They truly work as a team, every member that we spoke with was knowledgeable, personable and treated us like we were their #1 priority. I know that if we are ever in the market for a new house, Rita and Team Rita would be the only Real estate professional we would choose for both our buying and selling needs. After living in our Selden home for 41 years, we made a decision to retire to Arizona. So, who did we call first “Dust Busters” Yep we got our home ready for “TEAM RITA.” Our fish were swimming in our pond, the sunroom was sunny and dust busters did their job for Rita to take pictures. Our experience could not have been better. Every Monday I would bother Rita by calling her and asking “Wanna buy my house?” After a few months the answer was “IT’S SOLD” We couldn’t have asked for a more professional, dedicated TEAM. We Knew Who To Call, RITA’s Signs Were Everywhere! We’ve SOLD a lot of homes in the last several years, and each time we called RITA. RITA is Professional, Caring and Has Your best Interest At heart. 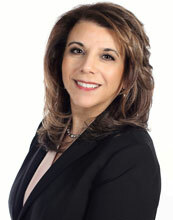 We Highly Recommend Rita To Anyone With A Real Estate Need.